Which will provide over 150 direct and 500 indirect jobs.The project would pave the way for potential future collaborations in terms of investments, technology transfer etc. 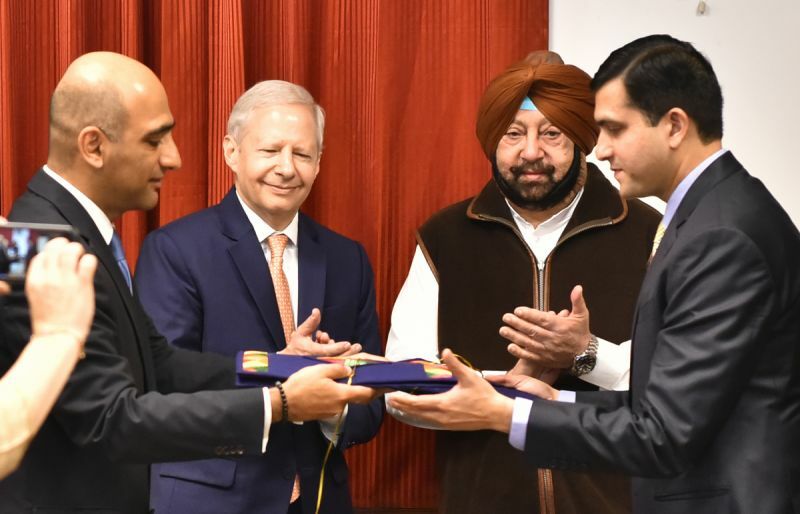 between Punjab and the US, an official spokesperson said after the signing of the MoU in the presence of Chief Minister Captain Amarinder Singh and US Ambassador to India Kenneth I. Juster. Virgo’s MD Kanav Monga was present on the occasion. The Chief Minister said the project would go a long way in containing the environmental pollution due to stubble burning, besides supplementing the income of farmers by helping turn the unmanageable agro-waste into raw material for producing bio fuel. He pointed out that every paddy season, the state generates nearly 20 million metric tonnes of paddy straw, which would be scientifically utilized for manufacturing bio fuel. Besides incentivizing the farmers to sell their crop stubble in lieu of burning it, the project would support the government’s requirements for national bio-fuel blending targets as well as important air quality initiatives, such as the National Clean Air Programme (NCAP), said the Chief Minister.Reiterating his firm commitment towards environmental sustainable development goal and facilitating projects of similar nature in Punjab. The Chief Minister said that Invest Punjab had been proactively working to steer similar projects. He pointed out that German company Verbio had got initial site clearances for setting up a BioCNG facility, while GoI Navratna HPCL got land & was in process of obtaining site clearances for setting up of Bioethanol facility. Further, land has been allotted to Indian corporate giant Mahindra & Mahindra for setting up of a Bio CNG facility in the state. US Ambassador Kenneth I. Juster said that the project for which the MoU had been signed was of critical importance as it demonstrated how collaboration towards a common vision could bring sustainable solutions and positive change. When companies and governments are willing to come together, share resources and expertise, and develop new and innovative approaches, the potential benefits to the society can be truly phenomenal, he added. 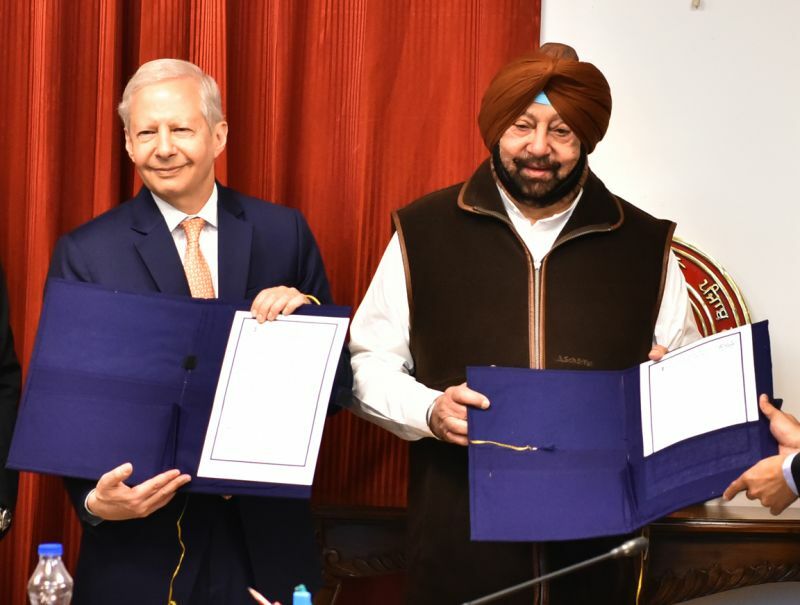 Notably, the MoU was the outcome of concentrated efforts from Invest Punjab, the Government of Punjab and the US Embassy’s Foreign Commercial Service (FCS). Matchmaking from US Embassy’s FCS allowed for the identification of a specific US technology to transform left-over crop stubble from Punjab’s rice paddies into bio-fuel and the effective partnership from both governments connected the US and Indian business partners. ACS Investment Promotion Vini Mahajan, CEO Punjab Bureau of Investment Promotion Rajat Agarwal and representatives from Virgo Corporation and Honeywell, including Kanwal Monga, Mike Bannach, Col. Channa and Dharmesh Mahajan.